It turns out that I can thank former Army colonel and historian Andrew Bacevich for the fact that U.S. Army Major Danny Sjursen began his article-writing career at TomDispatch. That was in February 2017. His first piece was headlined "Mission Unaccomplished, 15 Years Later" and it began this way: "The United States has already lost -- its war for the Middle East, that is. Having taken my own crack at combat soldiering in both Iraq and Afghanistan, that couldn't be clearer to me. Unfortunately, it's evidently still not clear in Washington." More than two years later, of course, it still isn't. "The way it shook out is: when I was a cadet at West Point, I took an elective from the guy who's now the head of its history department and he had us read excerpts from Andrew Bacevich's The New American Militarism: How Americans Are Seduced by War. That work challenged everything I had been taught there. It was the only dissenting document I read then and, since it was from another soldier, another graduate of West Point, it was mind-blowing. Soon after, I disappeared into the Army. For the next eight years, I basically didn't do anything academic, but I did keep up with Bacevich's latest work. After being posted to Afghanistan, a country I left in 2012 more antiwar than I had ever been, I was sick, emotionally and morally, and in a bad place personally. And yet professionally, I was having an amazing year because I had just been selected to teach history at West Point, which Bacevich did as well. That meant I took off my uniform and went to a civilian graduate school for two years first. "While I was there, I had an enormous amount of time on my hands and started writing angry little essays just for myself and reading dissenting material. 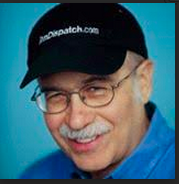 I also started Googling anything by Bacevich I could find, which led me to TomDispatch. And then I started reading everything at TomDispatch and searching out its authors' work at other sites and so was introduced to the world of non-mainstream antiwar dissent. In my last civilian semester before West Point, I madly wrote my own book on my experiences in Iraq in four months and it got published, but I still hadn't written a single article for publication. "When I left West Point in 2017, I suddenly found myself back in the real Army, which seemed a bereft and boring place to be. I had all this time on my hands and so I wrote my first article-length piece, which, at its original 4,000 words, seemed too long for anyplace but you. I emailed you (and other sites, too) and you wrote back..."
"Patriotism, in the trenches, was too remote a sentiment, and at once rejected as fit only for civilians, or prisoners." -- Robert Graves, Goodbye To All That (1929). I'm one of the lucky ones. Leaving the madness of Army life with a modest pension and all of my limbs intact feels like a genuine escape. Both the Army and I knew it was time for me to go. I'd tired of carrying water for empire and they'd grown weary of dealing with my dissenting articles and footing the bill for my seemingly never-ending PTSD treatments. Now, I'm society's problem, unleashed into a civilian world I've never gazed upon with adult eyes. In a sense, I snuck out of the military at age 35, my early retirement an ignominious end to a once-promising career. Make no mistake, I wanted out. I'd relocated 11 times in 18 years, often enough to war zones, and I simply didn't have another deployment in me. Still, I wouldn't be honest if I didn't admit that I'll mourn the loss of my career, of the identity inherent in soldiering, of the experience of adulation from a grateful (if ill-informed) society. Perhaps that's only natural, no matter how much such a hokey admission embarrasses me. I recognize, at least, that there's a paradox at work here: the Army and the Global War on Terror (GWOT) made me who I now am, brought a new version of me to life, and gifted me (if that's the right phrase for something so grim) with the stories, the platform, and the pain that now make my writing possible. Those military deployments to Iraq and Afghanistan in particular turned a budding neocon into an unabashed progressive. My experiences there transformed an insecure, aspiring dealer-in-violence into someone who might be as near as a former military man can get to a pacifist. And what the U.S. Army helped me become is someone who, in the end, I don't mind gazing at in the mirror each morning. Should I thank the Army then? Maybe so, no matter the damage that institution did to my psyche and my conscience over the years. It's hard, though, to thank a war machine that dealt so much death to so many civilians across significant parts of the planet for making me who I am. And no matter how much I told myself I was different, the truth is that I was complicit in so much of that for so long. In a way, I wonder whether something resembling an apology, rather than a statement of pride in who I've become, is the more appropriate way of saying goodbye to all that. Nonetheless, the story is all mine, the burdensome, the beautiful, the banal, and the horrific. War, violence, and bigotry -- as I've written -- are America's original sins and, looking back, it seems to me that they may be mine as well. In that context, though I'm now officially retired, I think of this as my last piece authored as an active military dissenter -- a clearing of the air -- before moving on to a life of activism, as well as an unarmed life of words. Awesome article IMHO. Interesting that the President wanna be Tulsa, could not publish similar, but then she's still an active member of this organisation, whilst at the same time, trying to convince people, she doesn't support such policies. L.O.L.